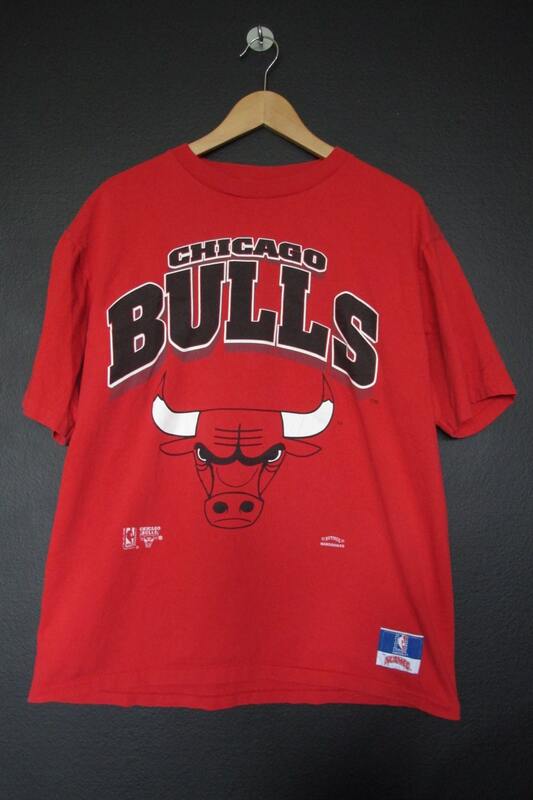 Chicago Bulls vintage Tshirt from 1990s. 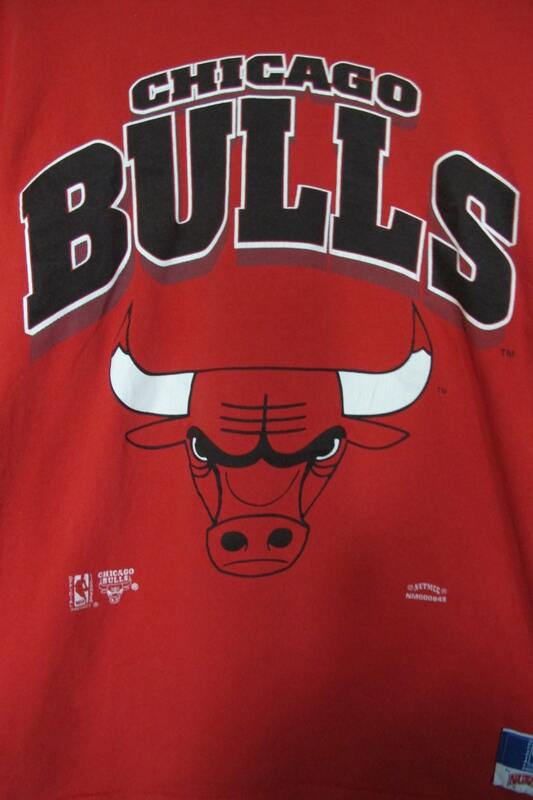 Amazing huge print on the front of their iconic logo. Printed on Nutmeg, size L.
Back of Collar to Bottom: 27"
This shirt is in great vintage condition with some fading throughout and some cracking on the graphic.